From jaw-dropping natural attractions to the legacy of centuries of art and culture, it’s no surprise that Italy camping trips are such popular options. Our range of campsites in Italy make it a sublime choice for both seasoned and first-time campers after a holiday with guaranteed sun, sea and fascinating sights. Whether you’re after a lakeside camping trip in Italy or you’d rather be close to the serene coastline, you’ll find that the country’s split into many diverse regions that all have their own unique charms. If you’re a nature lover, pitch up a tent at Lake Maggiore, Lake Garda or Lake Iseo, which sit in the shadow of the stunning Italian Alps. 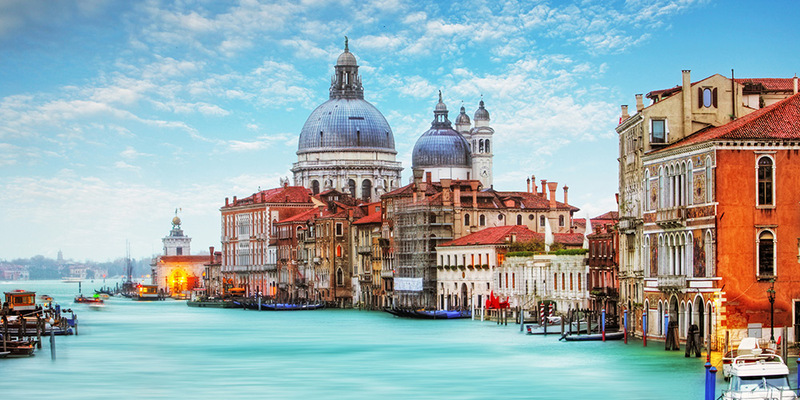 Alternatively, head 200km east to the pine forest-fringed Adriatic Coast for hours of daily sunshine and exciting day trips to magical cities like Venice. If you want a taste of rural Italy, Tuscany is the ideal spot for a camping trip filled with culinary treats and Renaissance masterpieces. And let’s not forget Sicily and Sardinia, Italy’s idyllic islands that offer up a relaxed pace of life and plenty of quiet coves to enjoy a Mediterranean summer. Our huge selection of campsites in Italy reflect not just the country’s amazing variety of beautiful landscapes but also its impressive attractions, too. 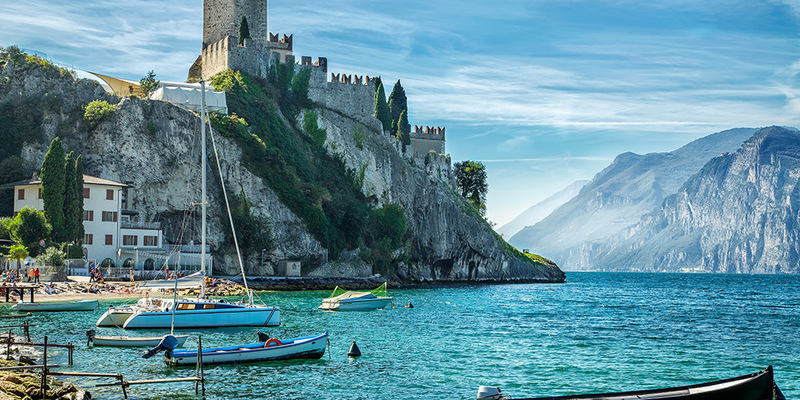 If you’ve opted for a camping trip near the fresh waters of the Italian Lakes, take advantage of outdoor activities like kayaking and hiking in addition to jaunts to fashionable Milan and charming Bergamo. A holiday on Italy’s Tuscan coast provides a chance to explore vineyards, sample local delicacies and admire Renaissance-era frescoes and artwork in Sienna, Florence and San Gimignano. Campsites near Rome call for day trips into the city to view magnificent ancient ruins, while farther-flung Sardinia is a destination with a difference thanks to its laidback island culture and pristine beaches. And, finally, let’s not forget romantic Venice and Verona that can be easily reached on a camping trip along Italy’s Adriatic Coast. Italy is blessed with some pretty impressive coastlines — and you’ll find multiple Canvas Holidays campsites right by the beach. 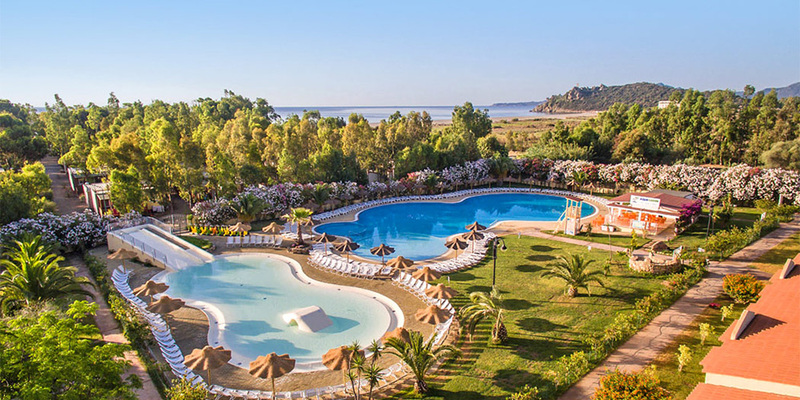 Stay within a stone’s throw of the golden sands of Costa Rei at the Camping 4 Mori site in Sardinia, where daily activities include diving in the Tyrrhenian Sea and enjoying cocktails at the onsite beach bar. For a mix of seaside relaxation and sight-seeing, book into a campsite in Italy’s Veneto region like family-friendly Marina di Venezia or Rosapineta with its pool complex overlooking the ocean. Plus, if you want to experience a private beach surrounded by pine trees, Camping Pineta Sul Mare near Rome is an oasis for those looking to get away from it all.